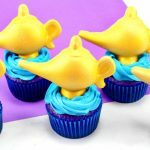 These easy to make Aladdin Themed Cupcakes are perfect for anyone that loves the movie Aladdin. 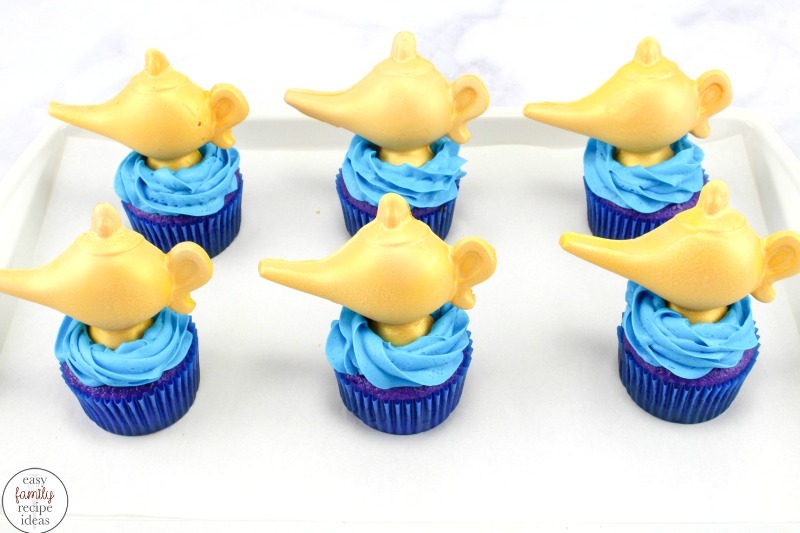 Whether you are preparing for a fun Arabian themed party, or you are looking for a delicious dessert idea to share with the kids, this is it. 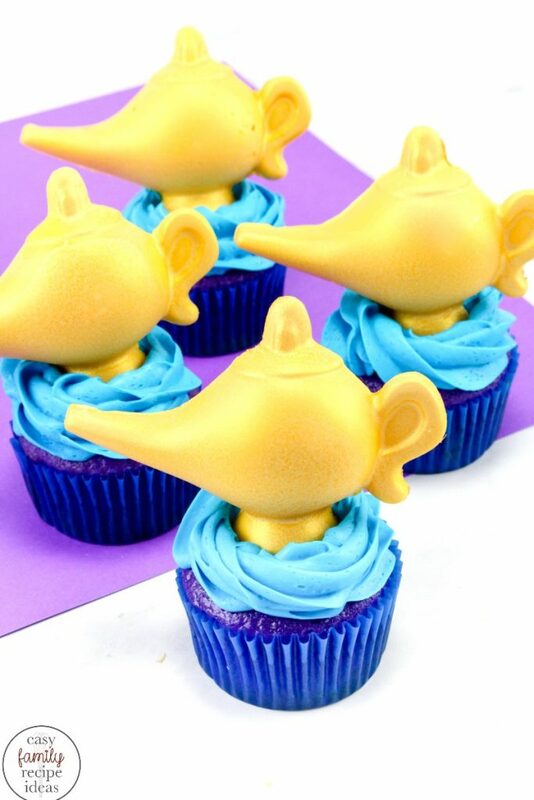 Making Aladdin cupcakes only takes a few steps, it starts with a boxed cake mix or your favorite vanilla cake recipe, and you need a few more ingredients to make these fantastic cupcakes. 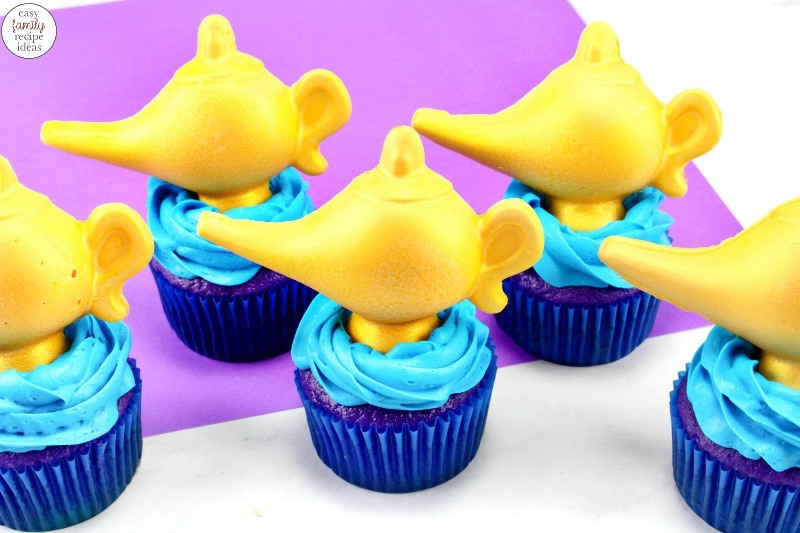 What you will need to make these Aladdin Cupcakes is in this picture below. However, I have it displayed in a recipe list form to print out towards the bottom of the page. 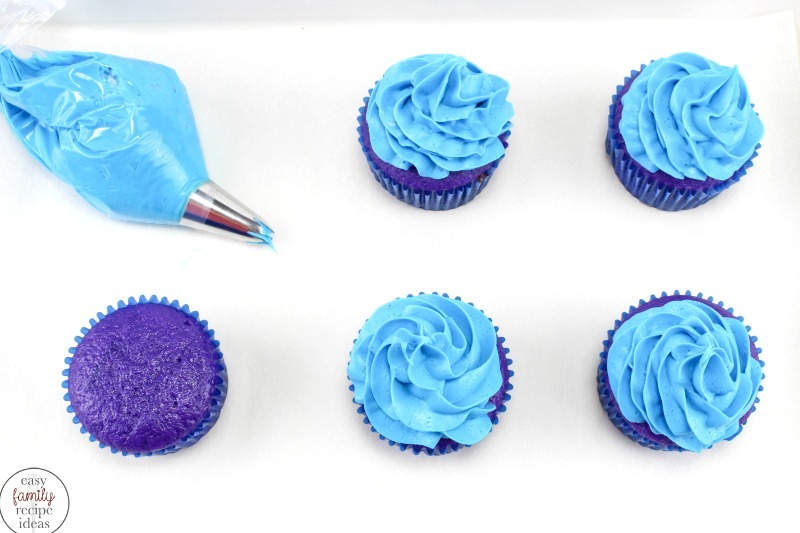 To make the purple cupcakes. 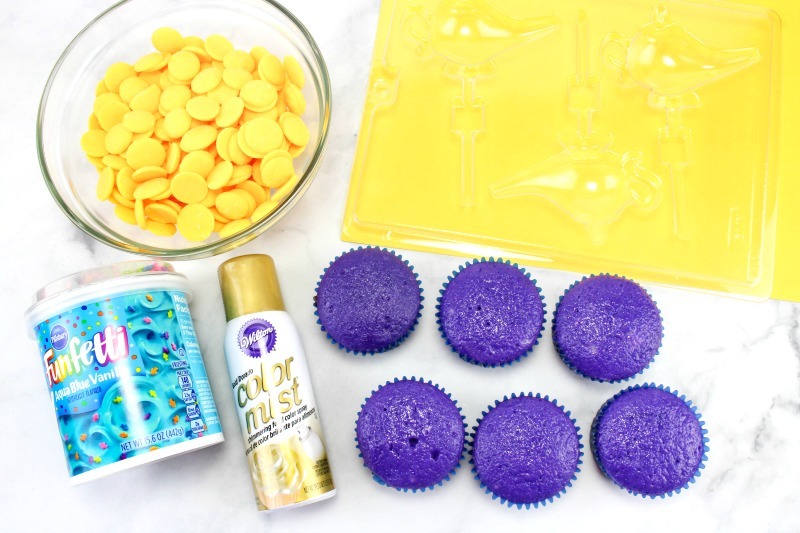 Just use a regular white boxed cake mix and add 7-8 drops of purple food coloring to the mixture. Then pour into your cupcake liners and bake according to the box directions. Add about half of the yellow chocolate discs to a bowl and microwave according to the package directions. Pour the chocolate into the mold. 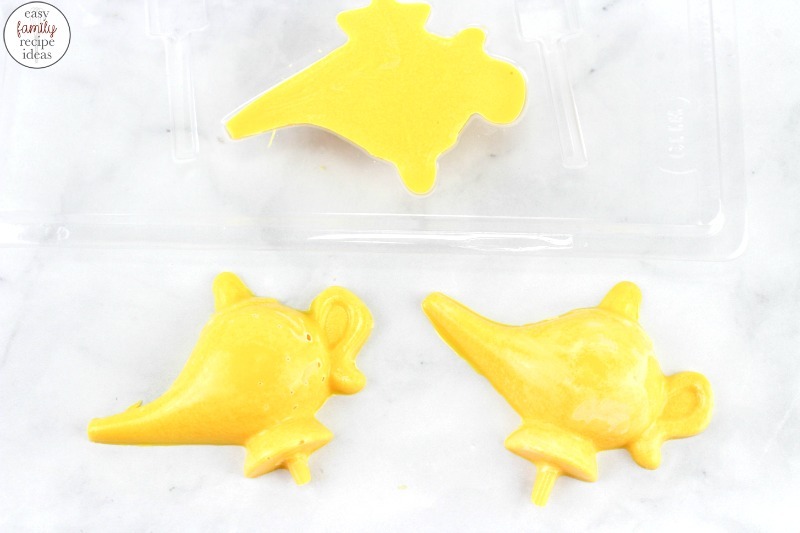 Make sure to tap the mold on the counter to get all the air bubbles out. Let it sit for about an hour to harden. You could also place the tray in the fridge to harden quicker. 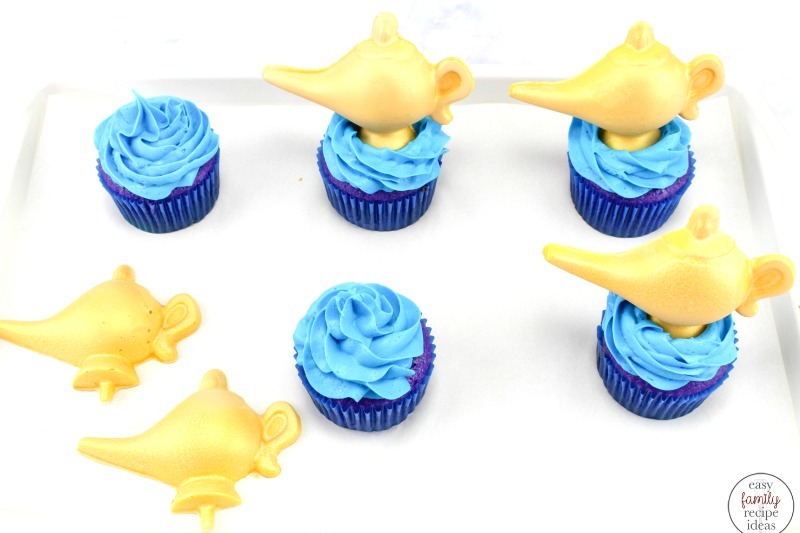 Once those are completely hard, pop your genie lamps out of the mold and set them on parchment paper. 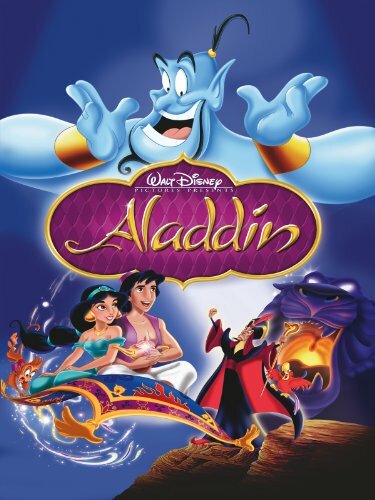 Repeat step 2 to make the additional genie lamps or if you purchase a couple of molds you only need to make the lamps once. Once all the lamps are hard, spray each lamp with Wilton’s gold mist spray. This is an optional step but makes the lamps more realistic and party worthy. Let them dry and spray one more time to get a good coat over the lamp. Set them out for a few minutes until they are completely dry. Frost the cupcakes with the blue frosting. You can either pipe it on or spread it with a knife. 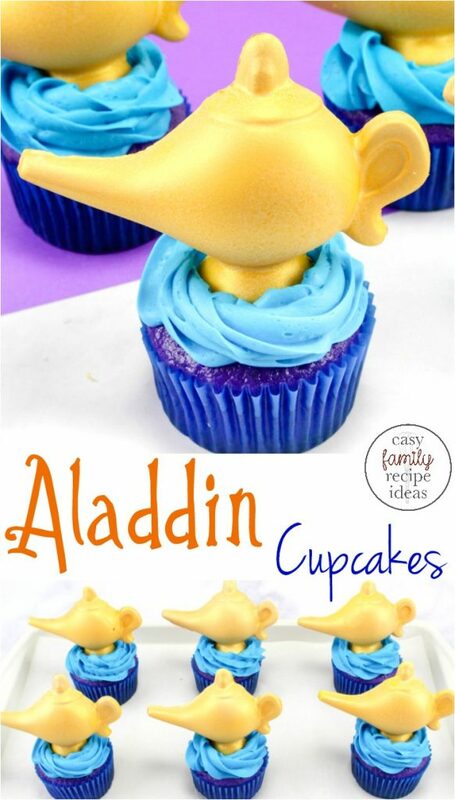 Place one lamp on top of each cupcake and press down. You can put a little extra frosting behind the lamp to give it additional support if needed. Studies have shown that if you like this, you will also love the following recipes. 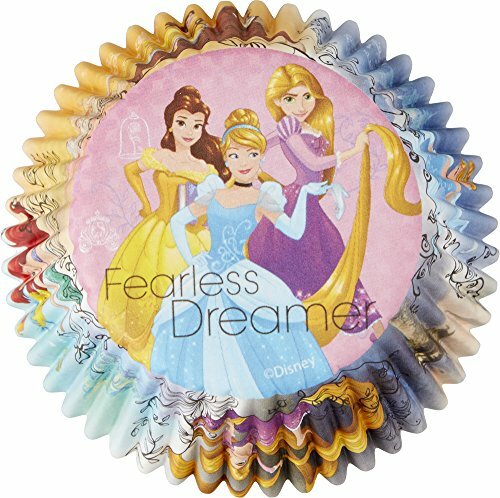 I have pulled them together for you right here! 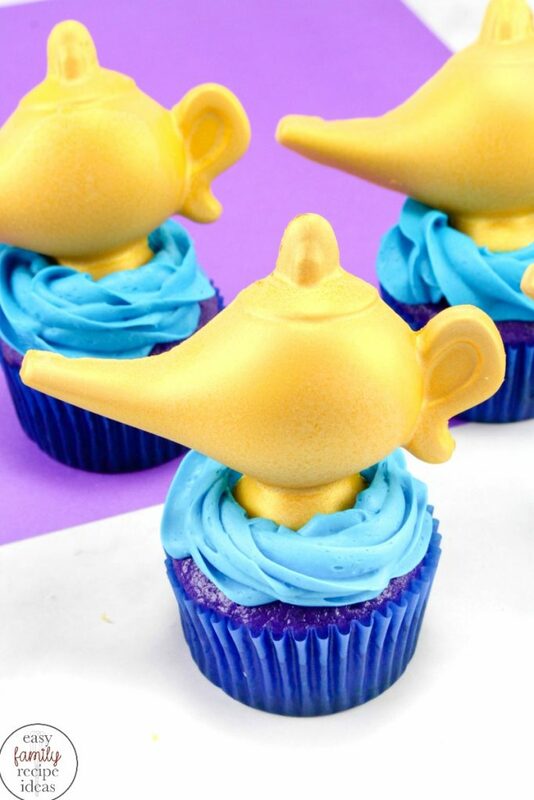 To make the purple cupcakes. 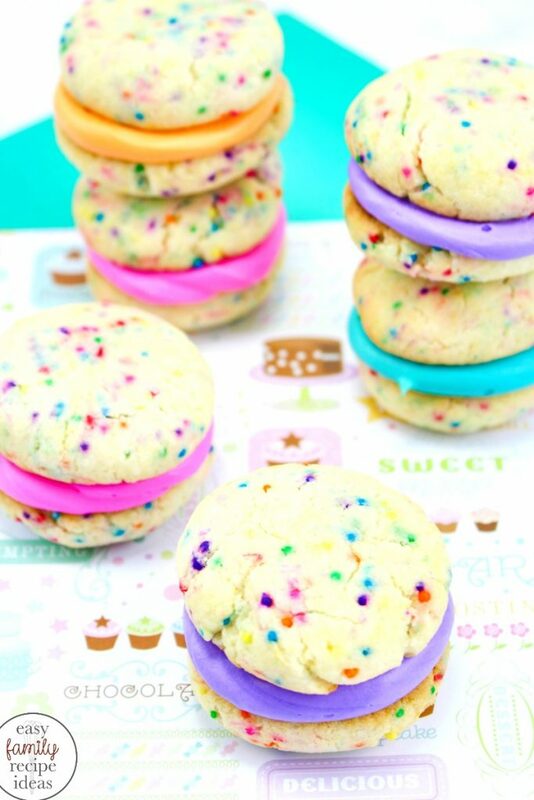 Just use a regular white cake mix and add 7-8 drops of purple food coloring to the mixture. Then pour into cupcake liners and bake according to package directions. Add about half of the yellow chocolate discs to a bowl and microwave according to package directions. Pour into the mold. Make sure to tap the mold on the counter to get all the air bubbles out. Let sit for about an hour to harden. You could also place in the fridge to harden quicker. 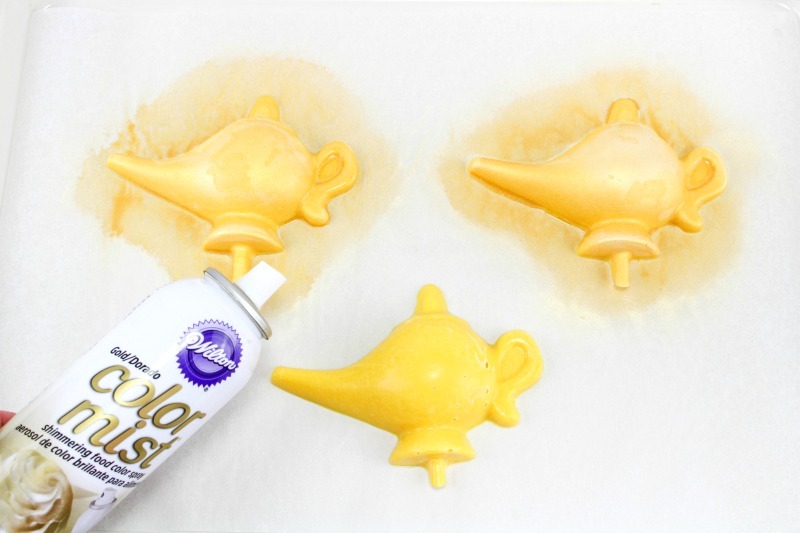 Once all the lamps are hard, spray each lamp with Wilton’s gold mist spray. Let dry and spray one more time to get a good coat over the lamp. Let Dry. Frost Cupcakes with the blue frosting. You can either pipe it on or spread it with a knife. 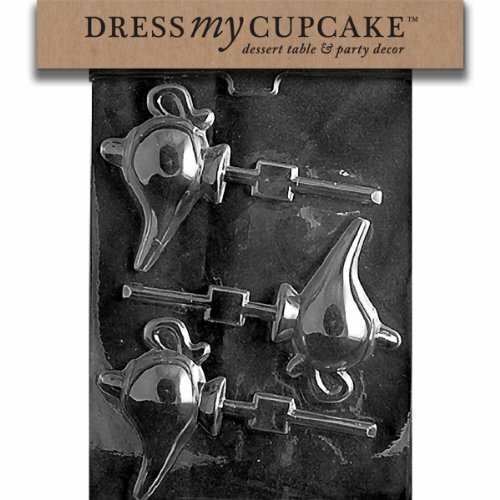 Place one lamp on top of each cupcake and press down. 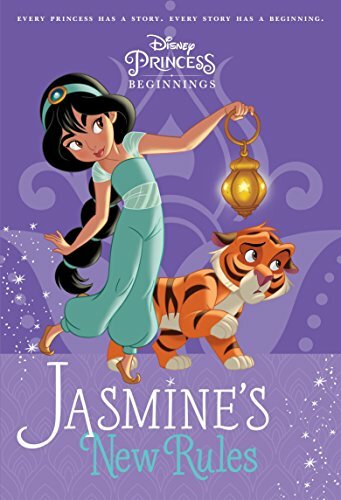 You can put a little extra frosting behind the lamp to give it additional support if needed.